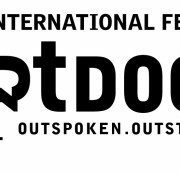 We are proud to announce that the documentary ‘Waiting for August’ by Teodora Ana Mihai, has been selected for the main competition at Hot Docs in Toronto. Through this link you can watch our trailer. Waiting for August, is a Clin d’oeil films production, in coproduction with a Private View. 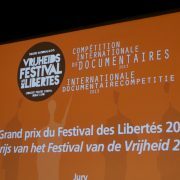 The film was supported by the Flanders Audiovisual Fund, La Fédération Wallonie-Bruxelles, Canvas, Fonds Pascal Decroos & the Belgian Tax Shelter. More news on the festival selections will follow in the next weeks. Si la RTBF a choisi de primer The art of becoming, de Hanne Phlypo et Catherine Vuylsteke. c’est parce que nous avons estimé que ce film , par sa forme presque fictionnelle, avec ses personnages attachants — eux qui sont arrivés en Belgique en quête d’ une vie meilleure avec pour tout bagage, un courage incomparable – permet d’incarner des questions au cœur de notre actualité brûlante, ici et maintenant. ‘Houses with small windows’ won the price for best Kurdish short film in Duhok International Film Festival in Iraq. 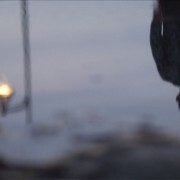 The documentary ‘The art of becoming’ directed by Hanne Phlypo & Catherine Vuylsteke got nominated for the Ensors at the filmfestival of Ostend. The documentary had his world premiere on the 8th of September at the filmfestival of Ostend and will premiere in Brussels art house Bozar on the 8th of October. 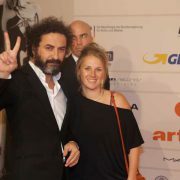 Congratulations to Bulent Ozturk for winning the EFA Best European Short Award in Venice with HOUSES WITH SMALL WINDOWS! 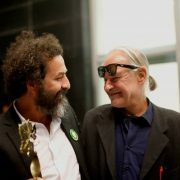 The award means that the short is also nominated for the European Film Awards. We just finished the last shooting period of the documentary ‘Waiting for August’ by Teodora Ana Mihai. Thanks to a fantastic crew composed by Joachim Philippe, Félix Blume & Bruno Schweisgut, the images and sounds are amazing. 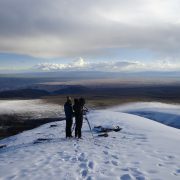 From mid-september Michèle Hubinon & Teodora will start the editing. 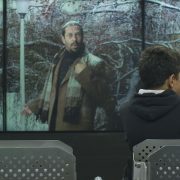 Houses With Small Windows, a short film by Flemish-Kurdish director Bülent Öztürk, has been selected for Official Competition at the Venice Film Festival. 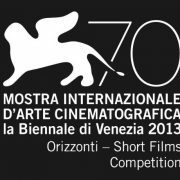 The film’s world premiere screening is set for the Orizzonti short film section of the festival, a programme that selects films based on criteria such as quality and originality of language and expression. The 70th edition of the Venice Film Festival takes place from 28 August until 7 September. Houses With Small Windows is a powerful and yet muted portrait of an honour killing in the rural Kurdish south east region of Turkey in which 22-year-old Dilan pays for her forbidden love for a young man in a neighbouring village with her life, at the hands of her own brothers. And as tradition has it, the killing must be compensated and yet another victim is made. The official screening will take place at the Sala Perla on Thursday the 5th of September at 2.30 pm. More information on additional screenings will follow asap. The Stadsmarketing fund Ghent just announced their collaboration on the creative documentary ’50 summers home’ by Kadir Balci. 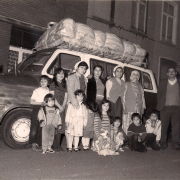 In 50 summers home, Kadir Balci, portraits 50 years of Turkish Migration, from the point of view of women. The project is supported by the Flanders Audiovisual Fund, the Stadsmaketingfonds Gent, Ministery of Gelijke kansen and is coproduced by Canvas. The release is scheduled in the autumn of 2014. Director Pieter Van Eecke, editor Koen Timmerman and producer Hanne Phlypo will be re-editing their teaser at the EDN/VAF pitching workshop at the end of August. The new teaser will be online from the 2nd of September. 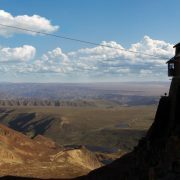 ‘Samuel en las nubes’ is a creative documentary by Pieter Van Eecke. Pieter Van Eecke was born in Belgium in 1975, he has studied Philosophy (Ghent State University) and Sculpture (Sint-Lucas Brussels). He works and lives in South America and became a self-educated filmmaker. His last documentary about the earthquake in Haiti, the internationally acclaimed ‘Goudougoudou’ (codirected with Fabrizio Scapin) was broadcast on television (TV5monde, RTBF, TG4) and was featured in various international film festivals.